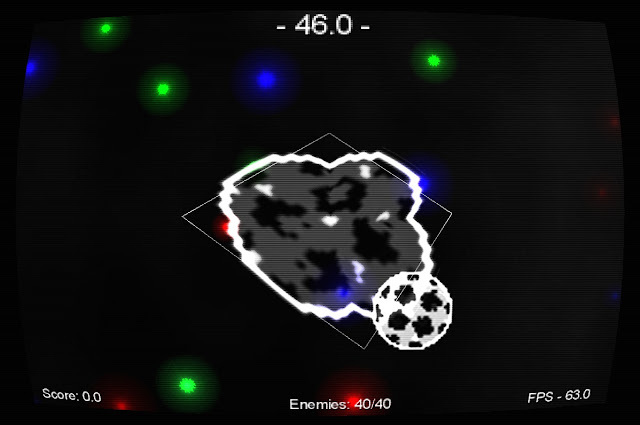 Recently I've been working on a time-attack shoot'em up game. I'm using the libGDX games library including Box2D physics, and a bunch of custom OpenGL Shader Language (GLSL) shaders. Currently the basic game prototype is there. The player whizzes around the area and blows up enemies within time limits, picking up upgrades along the way. The gameplay will eventually be somewhere between Bubbletanks and Geometry Wars. The time-attack element is motivated by the boss battles in the Touhou bullet hell games, from which I am borrowing some placeholder sprites! It uses OpenGL ES 2 and runs in the browser. The GLSL shaders include the screen distortion, bloom, scanlines, blurring and more. It will go very heavy on particle effects. A large part of what makes games like these enjoyable for me are the impressive explosions. 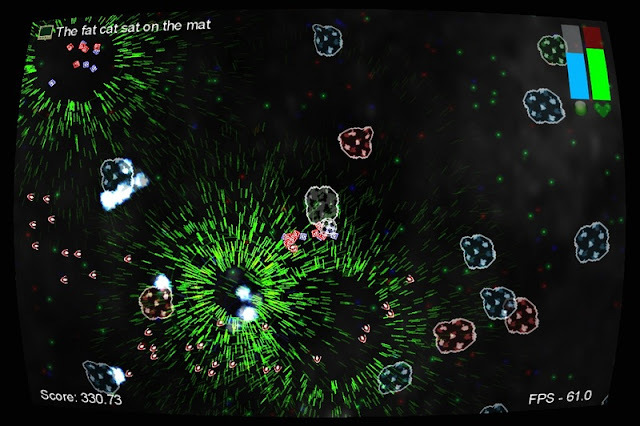 The particles approach also saves me from trashing the visuals with programmer pixel art. One thing I thought was clever was my usage of Catmull-Rom splines to dynamically create triangle-fan meshes for actors, which works well for making morphing blob-type shapes. It's good enough, but I haven't gotten around to doing satisfactory texture coordinate generation yet.